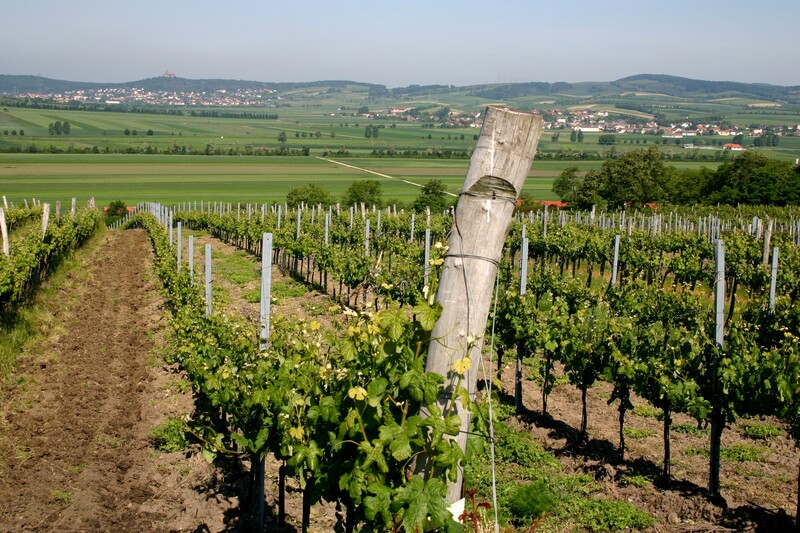 Some of Pfaffl’s vineyards at Stetten – photo courtesy of the winery. I love Riesling and while I know that many of you do not, I am just going to on and on about it until you change your mind – well it worked for Bill Cash and Nigel Farage! Riesling comes in many different guises, the delicate off-dry Mosel style is possibly my favoured option, but then the mineral and slightly bolder Alsace versions also excite me, as do the lime-drenched Australian ones and the vivacious offerings from New Zealand, Chile, South Africa, Washington State and New York. However I also have a new favourite – Austria. I am always excited by Austrian wines. That feeling of pristine, Alpine purity in the wines speaks to me – indeed I love Swiss, Slovenian, Northern Italian and even Gallician wines for the same reason. Austrian Riesling tends to be more full in style than German examples, dry, yet somehow steelier and more vibrant than those from Alsace – certainly at lower price points anyway. Well I recently tasted a lovely Austrian Riesling and so with the better weather I thought it would make a great Wine of the Week. Wine map of Austria – Pfaffl are marked by a red dot a little north of Vienna. 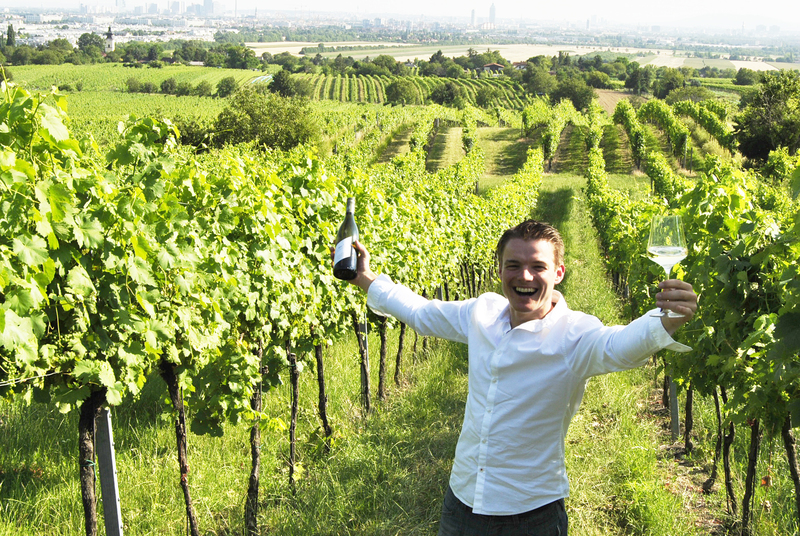 Roman Josef Pfaffl in the Vienna vineyards – see the city in the background – photo courtesy of the winery. I really like Pfaffl. I visited their winery once and they make good wines that to me feel very Austrian. They are precise, they are pure and exciting too. Pfaffl are based in Stetten some 15 km or so north of Vienna. Their vineyards are spread around the village on 10 sites and they also have vineyards in Vienna. 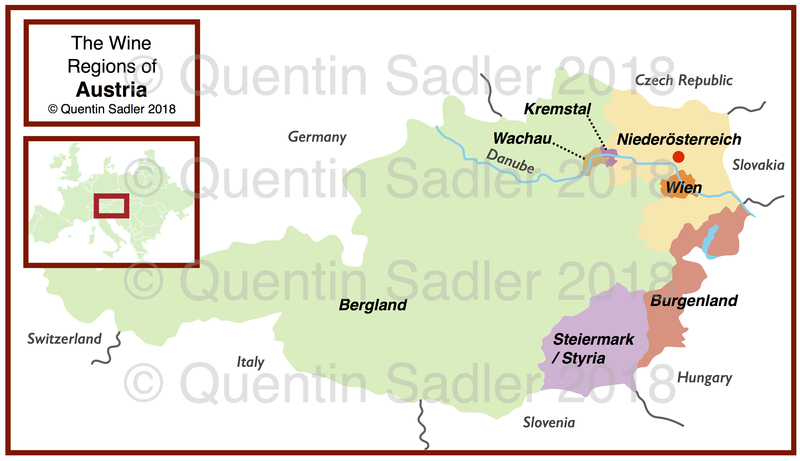 Vienna is the only capital with proper commercial vineyards in it and it even has its own style, the Wiener Gemischter Satz DAC. These are field wines that must contain at least 3 grape varieties grown together, harvested, pressed and fermented together. The permitted grapes Grüner Veltliner, Riesling, Chardonnay and Pinot Blanc and the wines are traditionally served in the Heurigen, seasonal taverns in Vienna that sell that years wine. Pfaffl also make a more modern style blend from Vienna, their Pfaffl 1 which has 60% Riesling blended after fermentation with 20% each of Grüner Veltliner and Pinot Blanc. I love Pfaffl 1 but have yet to taste their field blend. Heidi and Roman Josef Pfaffl are a brother and sister with Roman being the winemaker and Heidi the administrator. Roman crafts a largish range of wines, with many single vineyard Grüners and different Rieslings, as well as beautifully drinkable reds made from Pinot Noir and Zweigelt and a stunning sparkling Grüner Veltliner. Altogether they farm around 110 hectares and craft some superb wines from single vineyard sites as well as some bigger production blended across the estate. My Wine of the Week is one of their bigger production numbers and it is utterly delightful. The nose is fresh and lively with lemon and lime notes, the richer input of apple and pear and some scintillating floral characters too, jasmine and orange blossom. The palate is light, lithe and refreshing with lots of flavour and a clean ethereal presence on your senses. The citrus and apple is there together with a deeper tang of apricot. All in all the wine is poised and elegant with a light touch to it. I liked it a lot, especially with a Thai meal – 88/100 points. Available in the UK from Lidl for £8.99 per bottle. Drink this on a warm Spring day, a Summer picnic, on its own as an aperitif, with a cold collation or with spicy and oriental cuisine.